ZEVAv delivers the best value in the high-speed selective soldering market. 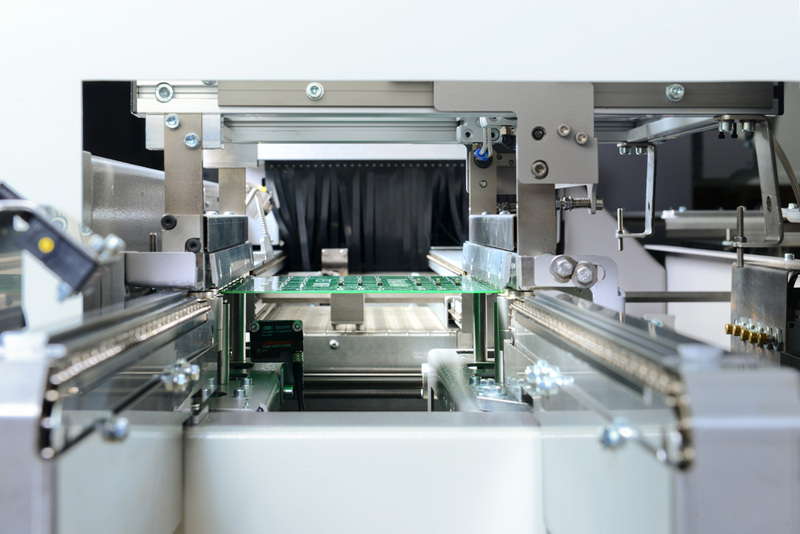 The ZEVAv platform leverages proven, market-leading fluxing, preheating and soldering technology to meet the growing challenges of high yields, cost effective production, and process control. Designed with the flexibility to match your specific application and the ability to execute on-the-fly changeovers. 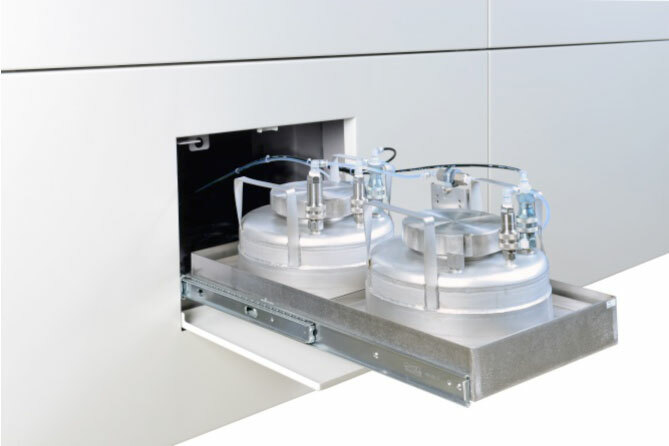 Solderpot sized have been decreased as much as possible resulting in lower power consumption, lower solder usage and less solder waste in the form of dross formation. Power management has been implemented to eliminate peeks in energy consumption. 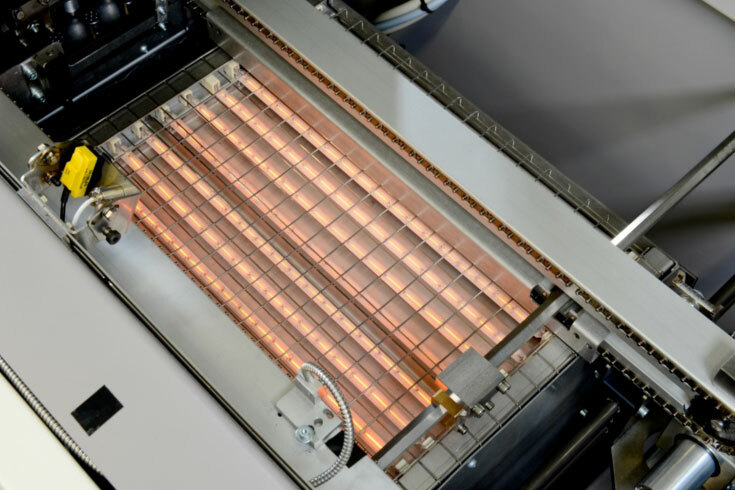 Preheat elements are mounted parallel to the transport direction and can be switched off in case they are not required for the board in production. Nitrogen atmosphere has been optimized in order to reduce nitrogen consumption, reduce the formation of dross, reduce flux consumption and increase the first pass yield. High frequency, high-speed, drop jet fluxing meets every cycle time and drop size requirement and increases the process window up to 5 times. Clogging is reduced with larger hole dimension of 180µm. Integrated mass flow meter has capability to measure during the whole flux cycle directly in the supply circuit to the nozzle. 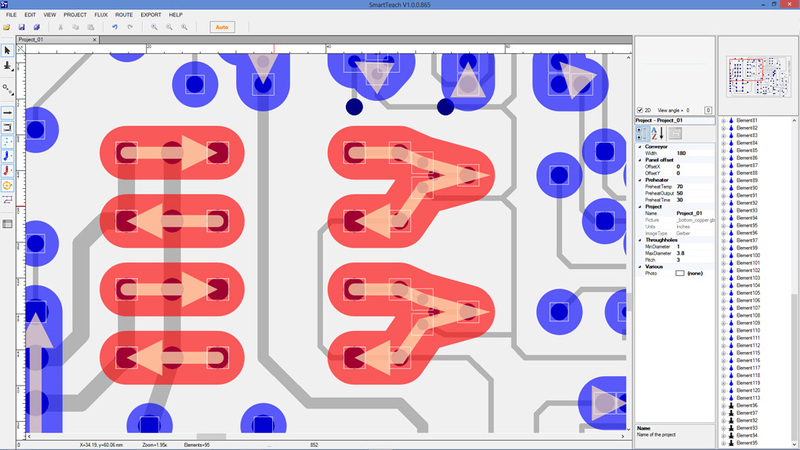 Active and precise control of PCB temperature. with automatic adjustment of lamp power to reach desired temperature at the end of the preheat cycle. Improved process control and board to board repeatability with no additional cycle time. ZEVA features point-to-point or drag soldering with a rotating nozzle to reduce cycle time. The solderpot is covered to minimize nitrogen consumption and dross formation. On the ZEVAm a movable electromagnetic solderpot allows soldering under an angle. The patented Solder Drainage Conditioner (SDC) unit is designed to ensure stable wave dynamics and bridge-free soldering. Designed to control the wave height of the Selectwave through a camera. Measures without contact and no additional cycle time. Improves process control and board-to-board repeatability. © Copyright 2019, ITW, All rights reserved.